Do you remember the movie "Mommy Dearest"! https://www.youtube.com/watch?v=tUkE9qaVgmo. It was such a frightening scene when Joan Crawford was screaming "NO MORE WIRE HANGERS!". I will never forget it! Also, when it comes to dry cleaning your clothes, be sure to remove the plastic bag they are returned in. There are chemicals used when the dry cleaning process is used. If you keep the bag on the clothes when they arrive home, these harmful chemicals stay trapped in the clothing. I highly recommend that "no more wire hangers" are kept on your clothing in your closet. Switch them to plastic or velvet slim hangers instead. 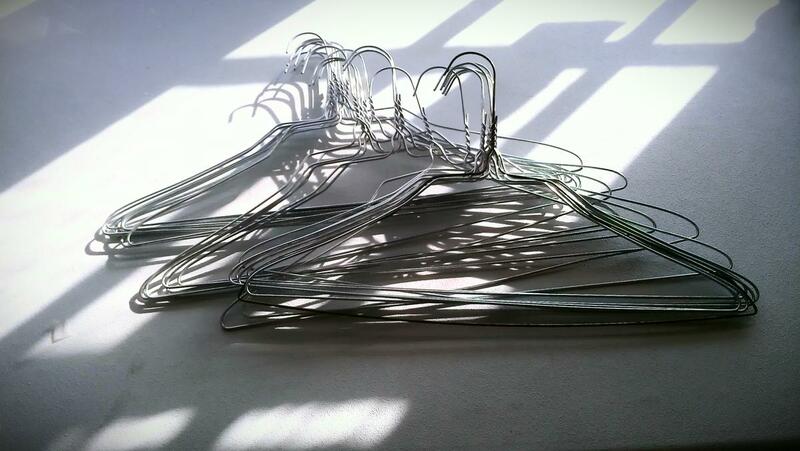 The next time you head to your dry cleaner, take all of your unused wire hangers with you. Most dry cleaners recycle hangers and actually appreciate you returning them because it saves them money. You get rid of clutter in your closet and help keep landfills free of hangers. Also, unless you have a need for the plastic bags they wrap around your clothing, you can ask for the dry cleaner to keep the bags off of your clothes. It keeps you from having to toss the bag when you get home, and again saves the dry cleaner money. Also, men’s dress shirts can be folded instead of put on a hanger so that you don’t have to take a hanger home with you at all! When you go to pick up your clothes at the dry cleaners, take your plastic hangers or thin velvet hangers and garment bags with you. It's just like taking reusable shopping bags with you when you go grocery shopping. That way you don’t even need to take their wire hangers and their plastic bags home at all. Now you will no longer have wire hangers and with these tips, you will have an organized, clean and safe wardrobe in your clothes closet to enjoy. If you are overwhelmed with the thought of getting your wardrobe decluttered and organized, don't hesitate to contact me. As always, l am here to help. Do you struggle with how many or how much of something you should keep? This is a common problem many of my clients experience. There is no clear cut answer to these questions but there are guidelines. One of the most common guidelines is what you have and where you intend to store it. When I am evaluating a situation for my clients, I always take into consideration the space in which the item or items will live. It is important to let your boundaries be your guide. What do I mean by this? It's simple. We all have boundaries we need to follow - whether it's on a personal level with other people or with our possessions. Take for example your hamper. It's a boundary! When you fill it, you know it's time to do the laundry. 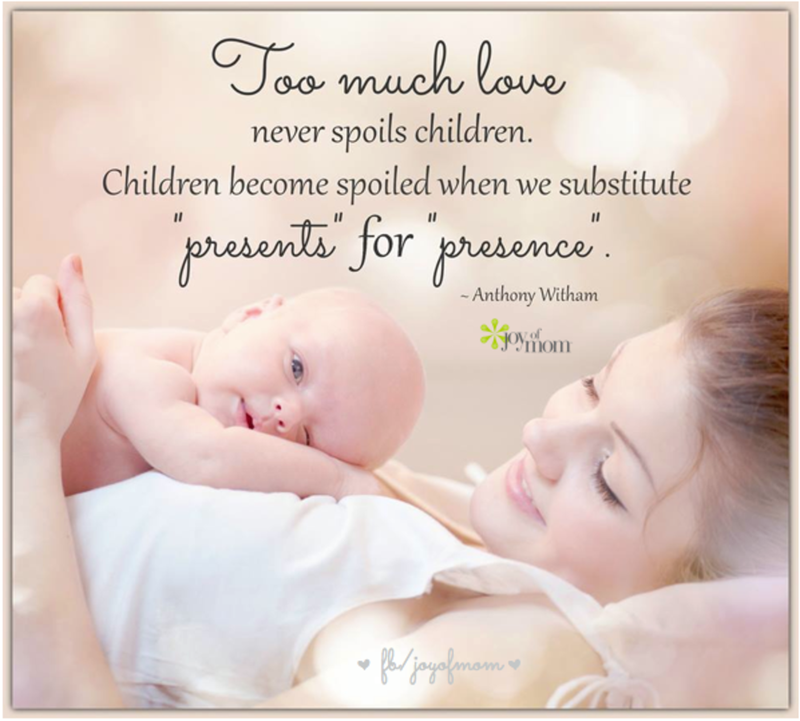 The same is true for many other spaces in our home. 1. Clothes Closet - You need to make sure that your clothes hang and/or fold in an area that provides sufficient space so as not to crowd your wardrobe. It is easier to store your entire wardrobe in a closet to avoid having to do a "seasonal switchout", but that is not always possible. However, we do want to limit the size of our wardrobe based on the space in which we have to store it. This might mean downsizing it to make it work for you in an easier way. 2. Cabinets and Drawers - Whether they are in your kitchen, bathroom, home office, bedroom or bathroom, you need to be sure that they are not so stuffed with items, you cannot easily select what it is you want from them. Drawers should be able to easily open and close without items getting stuck. Cabinets should be set up neatly so you can easily see what they contain. Storing similiar items together will make it easier to find them. 3. Donation Bin - Every household should have them. I tend to use 18-gallon plastic containers. I especially like to use them in kids' bedrooms so that when they outgrow their clothing, they are easily identified and can be donated or passed on to another family member or friend. However, when the bin is full, you need to clear it out and start again! If you are storing clothing for a younger sibling to use. Containerize them by size. 4. Storage Room - This room needs to be as organized as any other room in the home that your family and friends see on a regular basis. It is not a dumping ground for everything you want to hide from public view. The use of storage shelves can go a long way in setting boundaries and zones for the various items you wish to store. Be sure to review this area on an annual basis to determine what might no longer be needed or wanted. 5. Garage - The same holds true for the garage as the storage room. It is not a dumping ground. Remember, the original intent of a garage is to store your car. Although there are other items that need storing, such as trash cans, recycling bins, bicycles, lawn care, tools, etc., you need to zone out the various areas and no exceed the size of the garage. You need to be able to easily navigate throught out the space so try your best to avoid filling the center of the room with items. Think vertically and use storage options that help keep your possessions around the perimeter of the room, instead. Whether it is something as small as a clothes hamper or as large as a garage, pay attention to its boundaries and let them be your guide as to how much space you have in which to store your items. If you need guidance or assistance in determining how to maximize the space you have or wish to utilize, don't hesitate to contact A Better Space. I am here for you! IS YOUR LIFE HIGH MAINTENANCE? Almost every woman I know or have met has created a crazy, busy life for themselves. They tend to have a house, husband or significant other, kids, full-time job and lots of responsibility around the house and obligations to their family. Life is complicated enough. We don't need it to be high maintenance. Often times, there are ways that we can streamline our responsibilities and our possessions to make our lives easier. As a professional organizer, one of my responsibilities is to help my clients identify where they can change either the way they do things or reduce the amount of possessions they have in their life. Sometimes, we can identify items we possess that could be replaced by items that are simply easier to maintain and use. 1. Vacuum cleaner - Is your vacuum cleaner easy to use? Is it portable enough that you can easily move it from one floor to another? Are there tons of attachments? Is the bag easy to replace when full? Does it store away without taking up a lot of room? If not, you might want to consider purchasing another vacuum cleaner that would be lower maintenance. 2. Paper Shredder - Is your paper shredder sufficient for your needs? Does it shred paper efficiently? Does it accommodate credit cards? Does it have a cross-cut feature to ensure confidentiality of your paperwork? Does it jam easily? Does it overheat quickly? Consider these points to avoid wasting time and energy when it comes to shredding your paperwork. 3. Clothing - I don't know about you but I do not like to iron. (I have had the same iron since 1983!) I do anything possible to avoid ironing. One way you can reduce the amount of time you spend ironing is to purchase clothing that is not 100% cotton. Another time-saver is to put your clothes into the dryer - even on a low setting - and hang it up while it is still warm so the wrinkles fall out. 4. Kitchen - One area of the home that tends to accumulate clutter is the kitchen. How many times have you purchased a small appliance only to determine that it is never used and it just sits on your counter, collecting dust and taking up space? How many items are you not able to put into the dishwasher to clean and have to manually wash them? Do you have a set of silver from your grandmother that sits in a box and is never used? 5. Knickknacks - An abundance of knickknacks could easily qualify as a high-maintenance item. Do you have a collection of knickknacks that someone gave you and youa re not even fond of? An abundance of knickknacks can mean having to take more time to dust. Consider downsizing your collection to reflect only your favorites and truly special to you. Items that are hard to maintain are often unused. What items do you possess that are more trouble than they're worth? Take a look around and share your thoughts. I bet a lot of you have the same type of items! In the meantime, if you are struggling with "too much" and your life is "high maintenance", it might be time to declutter and organize your home. Give me a call or send me an email and lets talk about your "high maintenance" life. I can show you how to have A Better Space instead! I just returned from a whirlwind two week adventure on the back of a Harley Davidson motorcycle. Five others along with myself rode three motorcycles about 5800 miles from Pennsylvania to Ohio, Indianapolis, Illinois, Wisconsin, Minnasota, North Dakota, Montana, Wyoming, South Dakota, Nebraska, Iowa, Missouri, Illinois, Indianapolis, Ohio and back to Pennsylvania. We saw some amazing sites including Glacier National Park, Badlands National Park, Devils Tower, Sturgis, Mt Rushmore and Mark Twain's hometown in Hannibal, MO among others. The minimalistic part of this trip was a major challenge for me. I am used to having all of my clothing and accessories at my fingertips. However, when you share a piece of luggage strapped onto the back of the Harley and have to life out of it for fourteen days, staying in a different hotel every night, you quickly learn how to be a minimalist. We each packed for only four days, having to do laundry several times throughout the trip. I packed only 4 sleeveless, 4 shortsleeve, 4 longsleeve and two fleese tops along with 2 pair of pants, 1 pair of shorts, underware and socks for 4 days and 4 night shirts. All accessories were travel size. We relied on hotel shampoo, conditioner and soap for the most part and no blow dryer. I packed one pair of sneaks and one pair of flip flops along with a full set of raingear especially made for the Harley, a wind jacket, denim jacket and leather jacket for those cold and windy days and nights. I lived mostly in my Harley boots. It's amazing what you can fit in half of a suitcase that you share with your significant other. We packed all of our clothing by category and labeled each plastic bag they were stored in (after kneeling on them to squeeze the air out of them) to help quickly identify what we needed when we needed it as we traveled. Riding on the bike for 14 days gave me a lot of time to reflect. The moral to this story is that, it is possible to live a much more simple life, if you so choose. It's all a matter of mindset. This lesson in life will stay with me for years to come and I will share it will my current and future clients to encourage them when they want to downsize and live a much more minimalistic life - focusing more on the important things in life and less on the material things. If you need any personal help with downsizing and/or living a more minimalistic life, I can show you, first hand, how to do just that. As they say, "been there, done that"! So, now that the kids are back at school and the Fall season is just days away, many of us are looking to shed a few of those pounds we gained over the Summer. Blame it on the Summer treats such as ice cream, those barbecues and parties with friends and family and perhaps lack of exercise due to the hot temperatures outside. However it happened, you are considering going on a weight loss program. Well, I have a weight loss program we can all be successful at. Are you ready? I would like to see you shed the "pounds" of clothing in your closets and dressers! Yes, you heard me. You can loss pounds. So many of my clients have an abundance of clothing in their wardrobe. It is easy to put on the pounds (of clothing) but, just like other weight loss programs, not always as easy to shed them. We go to the store or go online and start shopping. We come home with those new items we just can't live without and, boom, over time, our wardrobes grow to the point where we no longer know what we have or no longer wear all the clothing we have. Do you know that statistics show that we wear twenty (20%) percent of our clothes eighty (80%) percent of the time? That means that eighty (80%) percent of our clothing we purchase and never wear or keep and no longer wear but keep it anyway. I find that astonishing! I guarantee that if you went through your wardrobe, you could identify "pounds" of clothing that you've bought and have never worn or purchased a long time ago and no longer wear. I challenge you to see how many pounds you can shed just by going through your wardrobe and eliminating those items. This is a guaranteed weight loss program you can be successful at, and reach your goal very quickly. If you are feeling overwhelmed and don't know where to start, I am here to help. I can help you to go through your wardrobe in a systematic way to help you make choices about what to keep and what to donate or toss (or in some instances, consign) so that you can have a wardrobe you make use of and enjoy. I will help to create a wardrobe that fits your current lifestyle. It will feel like a brand new wardrobe! Let's eliminate about eighty (80%) percent of your weight when it comes to your clothing. Just imagine how good that will feel! Contact me if you want to discuss your particular situation. I want nothing more than for you to be successful! 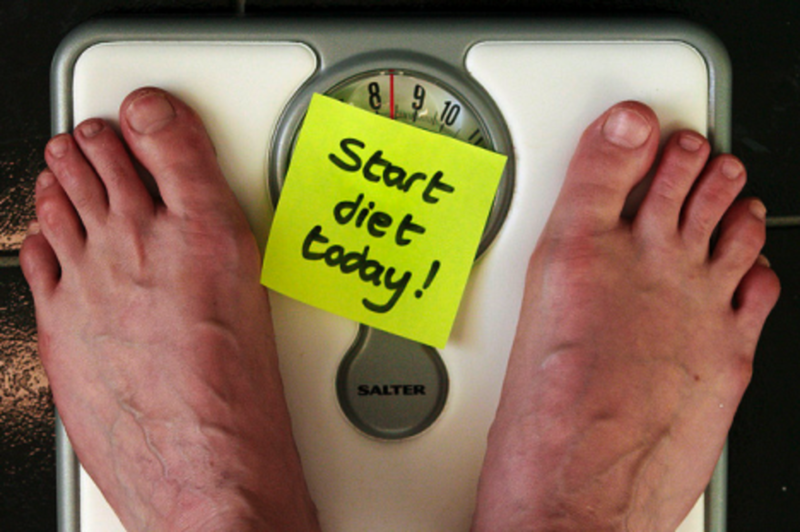 Take the first step to shedding some pounds today! It's Monday afternoon and I just returned from a four day trip on a Harley-Davidson motorcycle from Bucks County, PA to Canaan Valley, West Virginia last night. The weather was amazing and the sites spectacular. I am relatively new to the life of a "Biker Babe" and, although the rides and trips are amazing, I am having to adjust my way of thinking. I am learning some lessons in living a minimalistic life - I have no choice. I have a small SUV which I purchased several years ago to enable me to transport almost anything and everything - for my clients and for myself. When I head out on vacation, I am able to fill the SUV with whatever I need and want. Not so on a Harley! In order for me to plan for a four day excursion with my boyfriend, I had to pack whatever I needed or wanted in one-half of a suitcase that could be strapped to the back of the bike. Not an easy task. I openly admit that I like my creature comforts and, because I have the brain of an organizer, I am detail oriented and like to be prepared for anything and everything. You do not have that option when packing for a trip with only the use of 1/2 of a suitcase. I am aware that some people do not find this a challenge, but I do. Mike was great and very patient with me when I was packing and talked me through the process. For four days, I could pack one pair of jeans, a pair of shorts, a bathing suit and coverup, two night shirts, under garments, six shirts, a denim jacket, one fleese and rain gear along with my toiletries. Layering is a must on a Harley. Although it was in the 80's everyday, [perfect riding weather], the mornings were chilly and required four layers of clothing. Layering is critical no matter what time of year. Toiletries need to be downsized considerably and travel size products are your best friend. Although Mike teased me throughout the trip about us having the largest suitcase in the group, we managed to pack what I needed and still leave room for his stuff and, most importantly, get the suitcase zippered shut! This biker babe is still learning the tricks to living a minimalistic life when it comes to traveling on the bike. I have found that it is giving me a different perspective as to what is really important. Only pack what you need, not what you want. It is possible! I believe the same holds true in our homes. I am not saying get rid of everything you own; but, try to look at your possessions and think about whether you actually need them. This is a good way to reduce the clutter in your home and in your life! I promise that the next trip I take on the motorcycle will involve even less! Spring is finally here. The cold temps seem to want to hang around, however. The time is now to start Spring cleaning your wardrobe and start putting your Winter wardrobe away. The warmer temps are just around the corner, I promise. Do you have bulky items hanging in your closet that are taking up the space you could use for lighter weight clothing? Do you have items that you bought and intended to wear this past Winter season but never did? Are your drawers stuffed with articles of clothing that are now too warn out to be used again next year? Do you have pieces in your wardrobe that no longer fit? Now is the time to clear them out. 1. Start in your closet. Eliminate the articles of clothing that should be thrown away because they are now worn out. 2. Eliminate articles of clothing in your closet that you did not wear this past Winter season that can be donated. Bag them up and make an appointment with yourself to either have them picked up or dropped off at a Thrift Store or non-profit organization that takes clothing. 3. Pull out and store bulky items from your closet elsewhere which you think will take up too much space in your closet. Clothes need to breathe so make sure they have enough room in your closet to do so. You can use an under-the-bed plastic container, a cedar chest, a garment bag or plastic 18 gallon container for storage in your attic or basement. 4. Take out the items that no longer fit you. If your weight tends to go up and down, store that size in a container. Keep only the clothes in your closet that fit you now. You can always retrieve them later if need be. Do not keep more than one size larger and one size smaller. You are not a department store! 5. Go through your drawers in your dresser and do the same thing. 6. Pull out clothing that you might have stored away during the Winter months for use in warmer weather. These steps will get you ready for Spring so that when those warmer temps hit, you will be ready with a wardrobe that suits your needs. If you are overwhelmed and need help, don't hesitate to contact me. I am here to help. Happy New Year! Are you ready for 2015? This is a great time of year to not only eliminate clutter and get organized, but incorporate a little Feng Shui into your life and your home. I dabble in Feng Shui from time to time and use the basic principals when working with my clients in their homes. This list was created by Kathryn Weber, Feng Shui Entrepreneur & Nationally Syndicated Columnist. Notice that de-cluttering is at the top of the list! Grab a laundry basket. Next, set a timer and take it with you from room to room. Set it for five minutes. Now, start throwing out old papers, magazines, empty bottles of shampoo from the bathroom, old clothes you know you’ll never wear again! Do it. Got CDs you never listen to? Throw those out or donate them to charity. Have some old coffee mugs that don’t match or odd drinking glasses still hanging around in your cabinets? Pitch ‘em. When in doubt, throw it out. Don’t forget to look under the bed, too! And toss that lipstick you haven’t worn in two years! Remember to clean out the pantry, too, and toss that half-empty box of Rice Krispies that’s gone stale. Get the old energy out by making the floors clean. Don’t have dirty clothes hanging around. You can throw in a load or two while you declutter. Be sure to fold and put the clean clothes away. Make it sparkle. You don’t want a nasty mess to greet the next year of your life! Don’t want last years’ trash hanging around, do you? Toss, toss, toss. Got a half-empty jar of apple butter? Get rid of it. You don’t want to go into the New Year with old food or a moldy science project lurking in the fridge. Too much stuff everywhere? Clear off the counters in the bathrooms and kitchen. Clear off your desk and dust it. Pitch the sticky notes and papers and things taped everywhere! You can do it. Don’t forget the refrigerator! Make it a blank slate. Make as much space as possible. You cannot bring in new things if there is no room for it and we want a fantastic year, right? Then make your space “open” for the abundance of the New Year! Make sure the yard is picked up and the front door step is swept and clear. Put clean sheets on all the beds on New Year’s Eve and clean towels in the bathroom and kitchen. New sheets are even better. This is what gets you around during the year. 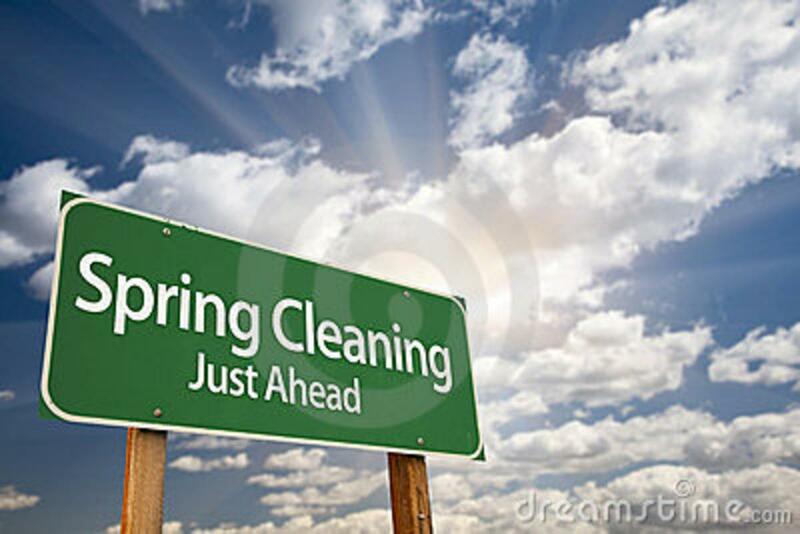 Drive through a car wash, take out the trash and do a quick cleaning. All done? Wow, doesn’t that feel good! Now you’re ready for the next step. Stock the refrigerator with food and make sure the pantry is also stocked. It is bad feng shui to have an empty refrigerator and pantry. If you have canisters in the pantry or on the countertops, be sure to fill these. Oranges are excellent symbols for the New Year and the Chinese often celebrate the New Year by rolling oranges (symbols of gold) into the house. Place a big bowl of 8, 9, or 10 (the numbers of prosperity!) oranges in the living room or central location in the house next to dishes of nuts or candies to symbolize an abundant, fruitful home. Put a beautiful new plant in the East (health & family relationships) sector of your house or office to symbolize a healthy beginning. You can also display some beautiful flowers here to symbolize your good health in the coming year. Place a golden bell in the NW corner of your home, office, or bedroom to bring good tidings from helpful people. Like old school bells? If so, place one of these in the NW corner of your yard for good news from helpful people. What better way to greet the New Year than by throwing out the old one? Take down all of last years’ calendars. You don’t want to go into the New Year with an empty wallet. Put some money in your wallet — or better yet — go and buy a new wallet (red is the best!) or purse and start your financial off with new energy! Place an old, broken clay pot upside down next to a water spout so a toad can make its home here. Toads are believed to invite money into the household; they’re especially nice by the door. You can also place figurines of toads by the door. Birds are excellent feng shui and believed to bring good news. Fill your feeders or put out a feeder for the New Year. Fun is good feng shui. A happy vibrant home or space is a good space, so plan a party of some kind of happy gathering. Remember, a home or office with good feng shui is easy to spot it’s the one where everyone goes and doesn’t want to leave! Make your space that kind of place! OR, as I say "Make your place A Better Space! So, what do you think? I am not sure about inviting a toad into my house. I think I will go ceramic, thank you, but a little Feng Shui never hurt anyone! Go through this list and do the best that you can. Do one thing at a time to help stay focused and soon, you too will have A Better Space. Wishing you a very Happy (and organized) New Year! Not only do people need to have a home, but so does their stuff. Interestingly enough, I was working with a client of mine the other day and we were discussing her cluttered closets in her home. She has clothes everywhere. Her dresser drawers are stuffed and she has clothes that she no longer likes or wears. She asked me about helping her to create a laundry schedule because she feels she can not get a handle on it. Of course, I could help her with that. I have done it many times for many of my clients over the years. She mentioned that she hates doing laundry. I asked "Why? ", that the washer and dryer do all of the work. She said she agreed with that except for one thing. When it comes time to put the clothes away, she does not have a place to put them. Basically, her clothes are "homeless". There lies the problem. It's not the task that she dislikes, it's the frustration afterwards to try to put her clothes away; to give them a home. It got me thinking. I have counseled clients over the years on how important it is to find a home for their things. It is beneficial in so many ways. Not only can you easily put things away, but you can easily find them when you want them. It is a tremendous stress reducer and applies to all aspects of your home. It eliminates procrastination in many instances. Think about it. It is important to have a home for all of your paperwork in your home office, groceries in the fridge, cabinets and/or pantry, linens in the linen closet, clothes in closets and drawers, tools in the garage...the list goes on and on. I have seen it time and again. When I work with my clients and we find homes for their possessions, they get an immediate sense of relief and reduction of stress. Their lives are made so much easier, just by being able to put things away where they belong. So, I ask you. What items in your home are "homeless"? Are you able to find a solution? If not, contact me. I can help. My passion is to find homes for your possessions and reduce your stress so you can enjoy doing the things you like to do and have the time to be with the people you want to spend time with. You deserve A Better Space. Let's knock out homelessness together! Even though it's Summertime and we intend to be lazy, it can sometimes be the crazy days of Summer instead. The kids are out of school, we are running from one activity to another to keep them busy, we are planning and going on day trips or vacations and we just can't find the time to get organized. Not to worry. You don't have to wait until the kids return to school. You can still do some simple things to get on the road to organization now. 1. Hang Some Hooks - They take very little time to install and are a quick solution for getting things up off the floor - towels in the bathroom, camp bags in the mudroom, clothes in the bedroom, etc. 2. Do A Hanger Purge - Hangers that are laying around are not being put to good use. Gather the extra wire hangers and give them back to the dry cleaner. Refuse hangers when making a clothing purchase at the store. Keep hangers on the rod for clothes that will be returned from the wash to mark the space where they belong. One hanger per item is all that is needed. The rest can go! 3. Eliminate Junk Mail - While bringing in the mail each day, identify the junk mail before it even enters your home. Keep a recycling bin and paper shredder near the entrance to your home for easy disposal. 4. Take It With You - Whether you are leaving a room in your home to go to another, going upstairs from the first floor or downstairs from the second floor, take something with you that doesn't belong there and put it away. This applies to your car as well. Before you get out of the car, take your trash or other items that do not belong there. 5. Create A Donation Destination - Pick a room where you can have a container for donations. A great place to keep a donation box is in a closet or the laundry room for clothing that no longer fits or that you no longer like. Other suggestions are for toys that hte kids outgrow or no longer play with. Add to the box as you go and when it is full, take it to your local Goodwill or other non-profit charitable organization. So, no matter how busy you are, you can still find ways to get and stay organized with just five minutes of your time. Which tip did you like the best? What other ideas do you have for five minutes of organization? If you are overwhelmed with the idea of getting organized, I can help. I have lots of great ideas for you to create A Better Space anywhere in your home. Contact me! I am here to help. Even if you are not looking to take on a large organizing project, there are some things you can do on a daily basis to get and stay organized. The good thing is, little effort is involved. 1. Make Your Bed - This simple task will not only give your room a nicer look, but if you have pets in the home, it is especially helpful. Pets have litter, dirt, fur, dander, dust or other items on them that you don't necessarily want on your sheets. Take five minutes to make your bed first thing in the morning. 2. Determine Your Route - Are you running errands or taking a trip? Plan the best route you will take and know travel conditions before getting into your car. Getting lost or sitting in a traffic jam is not saving you any time. 3. Load The Dishwasher or Hand Wash The Dishes - Dirty dishes left in the sink, on the counter or elsewhere in the house is an invitation for bugs, pests and bacteria. A cluttered sink makes it difficult to prepare meals. Load the dishwasher throughout the day and run it regularly to keep your dirty dishes from building up. Wash your dishes by hand and let them dry in the drainboard as you use them. Put the dishes away on a regular basis to avoid clutter. 4. Open Your Mail - On a daily basis, bring your mail into the house and immediately sort through it, eliminating the junk mail by shredding and recycling. Open up the rest of the mail to decide what you need to do with it. This will avoid the build up of paper clutter in your home. 5. Lay Out Your Clothes - The night before, decide what you want to wear the next day, even down to accessories and lay them out for the next morning. This will save you time when you are rushing to get somewhere the next day. There are many other ways you can do some "everyday organizing". Can you think of any? If you are overwhelmed with the idea of getting organized or have a larger project you want to tackle, don't hesitate to contact me. I am here to help. In the meantime, I am wishing you an organized day! They say you can't teach an old dog new tricks. I beg to differ. No matter how young or old you are, you can learn how to be organized. Yes, even a toddler can do it! Since I work with so many moms, I get this question all the time. "What chores and responsibilities can my children be expected to do?" Let's focus today on the youngest organizers, the toddlers. Young children want to help. They are eager to be independent and feel that sense of accomplishment. 1. They can hang up their own coat. Put a 3M removable hook on the back of the coat closet door or near a cubby in the mud room which is low enough for them to reach but not have the coat drag on the floor. They can hand up their own coat this way. The hooks can be raised as they get taller. 2. They can wipe down the bathroom countertop. Get them a small step stool. When they are brushing their teeth, combing their hair or washing their hands, have them use a damp wash cloth to wipe up any spilled and splashed water from the counter top. 4. They can put dirty clothes in a hamper. Get them a fun hamper that is open at the top. They can easily put their dirty clothes in every time they change their clothes. Just ask them to do so to remind them. 5. They can put their toys away. After playing with toys, toddlers should be able return their toys to their proper storage bin or shelf. Make sure they are in reach and use picture labels to guide them. Clip art is a great tool for finding the right picture. Teach them that they need to clean up before moving on to another activity. By age two or three, although most of these chores will need some type of supervision, you will be teaching them the basics from which they will eventually be able to carry out these tasks, and others, on their own. You are giving them a good foundation to get started on the road to organization! If you need some more tools to get yourself and your family organized, please don't hesitate to contact me. Remember, no matter how young or old you are, you can always learn how to get and stay organized. I can show you how! Sounds crazy, right? Why would you want to "maximize" to minimize. Is that an oxymoron? Not when it comes to organizing! When getting organized, the focus is on eliminating clutter and organizing items or thoughts in a way where we maximize the potential of what we have. Whether it relates to the items themselves, the space they occupy or what's going on in our heads, we want to focus on maximizing in order to minimize. Any space can be maximized to create an environment that is more "user friendly". We want to create a place where everything is easy to find and easy to put back. We want to create a space that makes sense, based on how we function. That doesn't mean we need to make it bigger by adding on an addition. It means we use the space we have to its best potential. Everyone functions differently, but there are some general rules that can apply to everyone. For example, when it comes to "maximizing" the hanging space in your closet, it is best to choose the correct type of hanger. Using matching hangers for an entire closet is best. This might sound petty, but it is more than just aesthetically pleasing to the eye. It makes it easier to locate your clothing when all of your clothes are hanging at the same height. Using the correct hanger will protect your clothes from damage and keep your clothes from sliding off the hanger, onto the floor. Hanging like-things together will help also. Some people hang their clothes by color, some by type. That is a personal choice and both can work well. When it comes to "maximizing" in order to minimize, you are focusing on the use of the space itself and the contents within it. How we store items (or even information) is so important in how we function on a day-to-day basis. I suggest that you start paying attention to the space in your home, your office and your head to figure out where you can possibly maximize their potential in order to minimize your clutter. If you need assistance in figuring it all out, I can help. You can utilize my knack for minimizing the clutter and maximizing the space, no matter where it is and making sure that the system you put into place will work for you. Is there such a thing as a fake de-clutterer? Yes, there is! As crazy as it might sound, it's true. Do you find that you are telling people you are organized, but instead you are just moving the clutter from one room to another? This is not de-cluttering. De-cluttering involves the elimination of items that are no longer needed or wanted, not just moving them around. You still end up with the same amount of things, they are just located elsewhere. Does your home appear neat and organized until you open up a closet door and it is crammed with stuff? This is not de-cluttering. It's hiding. Even your closets, drawers and cabinets should be clutter-free. How many sets of linens or towels do you have? How much clothing is crammed into your closet that you don't wear? Is your pantry filled with expired food? 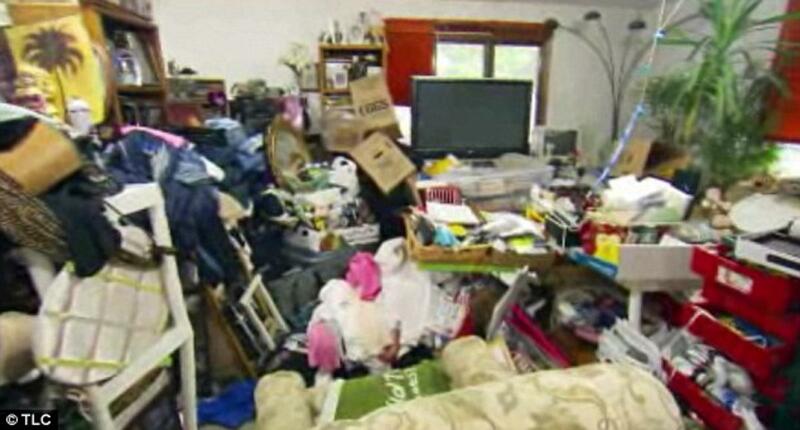 Is the first floor and second floor of your home in good shape clutter-wise but your basement is another story? Is your garage a dumping ground for the items you just don't know what to do with? Even if you have items categorized and neatly organized in plastic containers or boxes, you can still have clutter. Do you just have too much "stuff"? Perhaps you have a container with hundreds of twist ties. There is no problem keeping a certain amount, but you need to pay attention to the quantity of like-items you are keeping. For example, do you have a lifetime supply of pens, pencils, notepads, grocery bags, hotel shampoos and soaps? (Just to name a few.) Anything in abundance can be considered clutter. Keep in mind that you are not ridding yourself of clutter if you simply move things around to different locations, hide it or make everything look neater. It's still clutter. If items are useful but not being used by you, that's clutter too. 1. Figure out why you are keeping certain items. 2. Think about the purpose of each item. 3. Create a plan and take action. This doesn't have to be a difficult process. If it seems overwhelming to you, that's okay. With the help of a professional organizer like myself, you can eliminate that clutter and get organized once and for all. Don't be a fake! Enjoy the upcoming 4th of July holiday and declare your independence from clutter! If you need my assistance, don't hesitate to contact me. I am here to help. However, the funny thing is - less is actually more. Last weekend I decided to declutter and organize my own home. I had been spending so much time helping others get organized, I was neglecting my own space. Over time, things built up and it was time to do something about it. Being a professional organizer, I know all too well that less is more. When you clear out the clutter in your home and in your head, you clear out the clutter in your life. Sometimes, our clutter means that we have too many time commitments. I decided to commit Memorial Day weekend to my own home and did not commit to any social activities. I knew that if I committed this block of time to this project, I would be able to enjoy the rest of the Summer. That was my motivation. I systematically went through my home, starting on the second floor and moving down to the first floor, one room at a time; just like what I do when working with my clients when they hire me to organize their homes. I cleaned, I decluttered, I organized. I worked 12 hours a day for two days. It was a lot of work, but, oh, it felt so good! During this week, I am going to work on my basement and storage room. Then, my entire home will be organized! 1. Enlist an "accountability partner". Select someone who is committed to supporting you and perhaps creating change in their own life. This "accountability partner" can be a friend, family member or even a professional organizer like myself to keep you focused and moving forward. 2. Make a list. Break down the various areas of your home that you wish to tackle and create a chronological list so you can check them off as you go and get that wonderful sense of accomplishment at the end. As you think of things you need to do or want to purchase, write them down as well. This will keep you on track. 3. Subtract as you go. Look closely at what you have and eliminate the excess. It could be clothing, paperwork, old linens, pantry food items, etc. Take the time to truly evaluate what you need and will use. Don't create excuses for keeping something you know you will never use. 4. Find the additions. This does not mean that you find more stuff to keep. It means finding the joy in having less. Celebrate your successes by inviting people over to see what you have accomplished. Enjoy your new space and "live" in your home. Your have now created more space for good things to enter your life. If you are feeling overwhelmed with the prospect of getting organized and need assistance in creating a home you enjoy living in and are ready to eliminate your clutter, once and for all, contact me. I can help you to create a step-by-step system so you can have A Better Space. Last week I addressed the issue of spousal clutter. 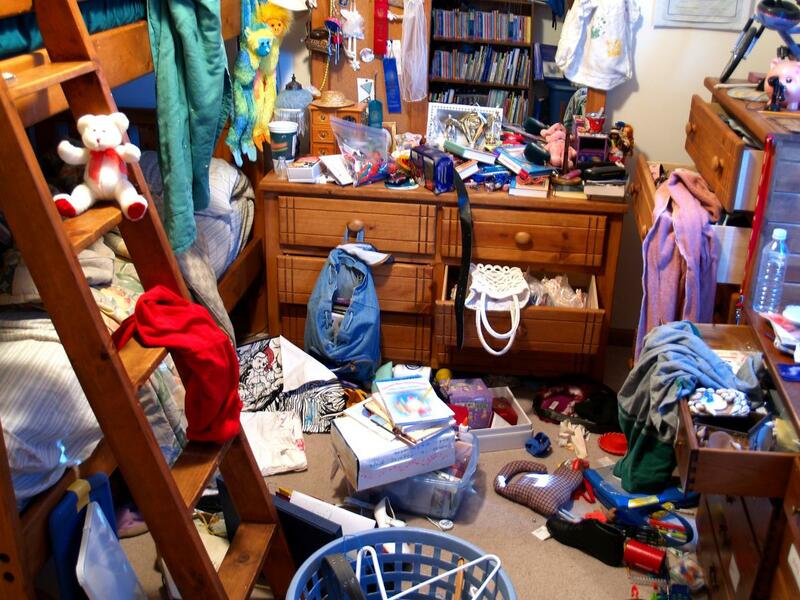 I explained the reasons why your spouse, partner or roomate might be causing clutter. This week I would like to provide you with some routines you and your family can begin to implement to bust through that clutter. When you finish reading a magazine or newspaper, process the information and recycle the rest. Did you find a great recipe in your favorite magazine, an article your spouse might enjoy or a coupon for your local store? Pull them out from the magazine or newspaper and immediately recycle the rest. Stacks of magazines or newspapers cause clutter. Leave enough room in your coat closet for coats, jackets, boots and accessories. If your coat closet is too full, it's difficult to put things away and retrieve them easily. Clear out the items that do not belong in the closet. Create sufficient room for hangers, the floor and top shelf so that these items don't end up scatttered throughout your home. Keep flat surfaces clear. Kitchen counters, bathroom counters, bureaus and tables are all culprits for clutter. Having a home for paperwork is the key to success. Create a system that works and you will avoid flat surface clutter. Wash dishes right away. Do not put dishes in the sink after using them. Immediately handwash them and put them in a drain board or load them into the dishwasher. It will take less time than you think to do this. Otherwise, you end up creating a "project" and we just don't have the time for that! Take the time to do this as you go and you will avoid sink clutter. Take five and grab ten. It will only take you about five minutes to grab ten articles of clothing from your bedroom closet or drawers that you no longer want or wear and put them in a box for donation or in the trash if they are no longer useable. This will free up space for the clothes you do want to keep. This will avoid clothing clutter. I hope you find these tips helpful. Let me know which tips you plan to implement. If you need assistance in setting up some systems in your home to make these areas clutter free, let me know. I am here to help. Wow! January was crazy busy for A Better Space. So many people contacted me to help them get organized. That is why I did not blog in almost a month! I believe we can all find a little time in our day to get organized, right? If you need to get organized but can't seem to find the time, I have some suggestions for things you can do to at least get started. They only require about 15 minutes a day! I am sure you can carve out 15 minutes out of your day to get some organizing done. 2. Gather your remote controls for the television and gaming devices in your family room and put them into one basket. If there are similar devices in other rooms, do the same thing. 3. Go through your sock drawer. Gather those single socks, ones that are worn out or no longer worn. Old socks sometimes make great handheld dusters. Only keep a few for this purpose, though. The rest have to go! Pair up the rest and put them away. 4. Match your plastic containers with their lids. Go into your kitchen and gather all of your plastic containers and plastic lids. Put the lids on the containers and get rid of the ones that don't have a matching lid. Reduce the amount that you have if you have too many. With the lids in place, you will never have to find a matching lid again. 5. Do a clothing toss. Go through your closet and quickly eliminate those items you no longer like, you never wear or no longer fit. Donate the items that are still in good condition. 6. Do a medicine cabinet review. Eliminate old or expired medications. Only keep the items you still use. Old medications can be returned to your pharmacist to recycle. 7. Organize your bathroom towels. Go through the linen closet and get rid of the old and worn out towels you no longer use. Only keep enough on hand for one week's use. Too many towels means too much clutter. 8. Check the back of the fridge. You probably have items that have gotten pushed to the back of the refrigerator and are no longer useable. Get rid of them and then organize like items together in the fridge so you can easily find what you need when you need it. Keep leftovers at the front so they get used up first. There are many other ways to get organized in just 15 minutes. What will you do to get your home organized with just 15 minutes a day? I would love to hear your ideas and we can share them with others. Anyone who knows me, knows I am not a fan of the winter months. The snow can be pretty but I do not like cold weather. However, there is a reason for me to love the month of January. It's National Get Organized Month! What better month is there for a professional organizer like myself. I don't know about you but I do like to start off the New Year with a new start. I have been diligently working in my own home to rid it of clutter. Understand that it is not out of hand but there are still things that need to be gone through and eliminated. I started the month by working in my clothes closet in my master bedroom. I have a nice size walk-in closet and it is easy to fill it with clothes, shoes and accessories. As busy as I can get with my business, I tend to not review my wardrobe as often as I should. I do go through and eliminate items as I put them on and find that I don't want them anymore, but this time was different. I took the time to actually try on pants, jackets, dresses, skirts and tops. I was amazed at what I found; namely, two and a half trash bags of clothes that no longer fit or that I liked. Wow, I could not believe that I have held onto that many articles of clothing that no longer serve me. Granted, I put on some weight over the Summer and it is likely I will not return back to the weight that will allow me to get back in these clothes again. What can I say, I am getting older and my body type has changed. Moving on... I am realistic enough to know that holding onto these clothes is not in my best interest. I do not live with "Someday Syndrome". As I continue to work through my home to eliminate the excess, I am feeling the difference. My home actually feels lighter and more spaceous. It brings a sense of calm. So let me ask you. What are you doing to lighten the load in your house during this year's National Get Organized Month? If you need any assistance in doing so, let me know. I can help. In the meantime, have a great week! One of my goals for the New Year was to go through my wardrobe and weed out what no longer fits or I no longer like. Happens to all of us! I am fortunate to have lots of closet space in my home, but the down side of that can be that I fill it. My wardrobe has become quite extensive as a result. I had room for everything but I decided it was just too much. "Do I still like this item?" "If I were to try this on in a store, would I buy it?" If the answer to any of these questions was "No", it was removed from the wardrobe. I had suits, pants, tops, dresses, skirts and jackets that I swore still fit me. However, when I went to try them on, I found out differently. Some classic suits had been in my wardrobe for years. I discovered I had tops, pants and skirts that were no longer comfortable. Admittedly, I have put on some weight so those clothes no longer fit. It was now time to get rid of them. Realisticall, I will never be a Size 0 or Size 2 again. Using the last question I think is the most important and easiest to detemine whether to keep something in your wardrobe. This can apply to everything you wear - jewelry, purses, belts, scarves, etc. I believe it eliminates the "Someday Syndrome" or the "Maybe" syndrome. It helps you to be more definitive about your decisions. So the next time you are going through your closets and your drawers, pretend you are shopping and ask yourself "If I were to try this on in a store, would I buy it?" If not, either throw it away or, better yet, donate the clothing to your local non-profit such as Goodwill. Others will appreciate your contribution and it can be a tax deduction. If you have difficulty weeding through your wardrobe, contact me. I can help. Remember, less is more! SAVING MONEY CAN CREATE CLUTTER! Can you believe I just said that! Well, it's true! Have you ever thought about this? Although repairing broken items instead of purchasing a replacement can save you money, you sometimes end up with more clutter than when you started. It is likely that you will add new items before the old items leave your home and, if you don't get rid of them quickly, they can linger in your home and take up space. 1. Stocking up on coupons and sales flyers. They can start to fill up precious space in your home if you do not have a specific space to keep your coupons (as well as the large quantities of things you get that you might not need - just to satisfy the requirements of that coupon). 2. Buying in bulk. It's true that shopping at BJ's, Costco or any other warehouse type store can offer big savings and the convenience of purchasing paper towels, toilet paper, laundry detergent, etc. is helpful. However, be careful when it comes to perishables (meat, poultry, dairy) and other items that expire. It's possible they can expire before you get the chance to use them and then you are just wasting your money. Also, purchasing in bulk is great if you have the room to store such items. If not, don't buy more than you can store. 3. Saving useless things to make something new. We all have good intentions but saving scraps of wrapping paper, buttons that come with that new sweater or those single socks with no mates can create clutter. If we do not have a clear plan for how we are going to use them and a deadline in which to do so, it just all becomes clutter. Get rid of them! 4. Saving things that need repair. It's true that you can save money by doing your own repairs (like hemming pants or sewing on buttons) but if you don't continually keep up with the repairs, the items can become a pile of clutter. I have seen this time and time again when working with my clients. Sometimes the cost of having someone repair the item for you may be higher than replacing it. (A zipper on a jacket, for example.) Skip the repairs that cost more than 50 percent of what it would cost to buy a new one and immediately get rid of the old one. 5. Collecting items for consignment. Clothing is a very popular consignment item. Consignment can be great if you have the time to take the items to the consignment shop and it's exactly what the shop is looking for. Otherwise, it's a waste of time. Also, you tend to not get a great deal of money for your item. Why not have a clothing swap party instead? Feel free to go ahead and turn your clutter into cash. Just remember, your attempts at saving money just might be creating clutter. Pay attention to your lifestyle and whether doing these things make sense. Don't let your clutter consume your space or your time. Let me know your thoughts. In the meantime, have a great week! If your children have not returned to school yet, they will be shortly. For most in my area, school starts the day after Labor Day. It can be a hectic time if you are not prepared. I have gathered some tips to help you prepare for back to school that you might find helpful. 1. Review the kids' wardrobes and have them try on their clothes. Have a fashion show! Make sure to do this before you go shopping for new clothes so you know exactly what you need. Donate or pass down clothing to another child. If you do need new clothing, pay attention to sales to save money. 2. Complete necessary medical forms in time for the return to school. You might need to schedule an appointment with your pediatrician for shots and signatures so allow enough time to do so. If food allergies are a concern, contact you child's teacher to discuss necessary precautions. 3. Finalize arrangements for after-school care which might involve transportation, payment arrangements and scheduling of pick-up. Be sure the provider knows who is permitted to pick up your child at the end of the day. 4. Purchase an alarm clock for those children who have more difficulty getting up that gets progressively louder or put one on the opposite side of the room to get them out of bed to shut it off. 5. Pack lunches the night before to save time in the morning. Plan out lunches a week at a time and have a sturdy lunch box or bag for each child. Purchase fruit snacks and granola bars, for example, in bulk to make sure they are always on hand. 6. Use a family calendar to keep up with the kids' busy schedules. Indicate half days and school holidays for the year. Keep track of extra curricular activities. Check the calendar each evening to be sure you are prepared for the following day. 7. Organize the paperwork. The paper starts coming through the door the first day so be prepared. Create an "in" and "out" bin for processing. Use a bulletin board for important information. 8. Adjust bedtime starting now. Gradually move the kids' bedtime up by about 15 minutes each night so they will be well adjusted when its time for school to start. You want to be sure they get plenty of sleep. 9. Set up a homework station that provides enough space, good lighting and supplies that are needed. Children will be more productive when they have a designated place to do their homework. 10. Finally, enjoy the last of the lazy days of Summer with the kids. This is the time to spend doing things you all enjoy before the hectic school season begins. What tips would you like to share for getting ready for back to school? Are you ready? We certainly live in a fast-paced world these days, don't we? The stresses associated with work, home and our social lives can leave us feeling overwhelmed and disorganized. However, a disorganized life is often the culmination of a number of bad habits. And we all know that habits can be changed. By making a few small changes in how we do things can make dramatic changes in your life from one of chaos to calm. Here are a few to try. Now remember, it takes about 21 to 30 days to form a habit so give yourself some time to form that new habit. Be patient, but persistent. 1. CHAOS - cleaning the entire home when it is trashed. CALM - cleaning a little bit each day and tidying up each night. 2. CHAOS - dropping your mail on the dining room table and going through it once in a while. CALM - sorting through your mail daily and immediately recycling and shredding the items you don't need. 3. CHAOS - tossing your keys or cell phone on the nearest table or counter, hoping to remember where they are the next time you need them. CALM - having a designated spot for your keys, purse, cell phone, etc. so you don't waste your precious time searching for them. 4. CHAOS - tossing dirty clothes and wet towels on the bathroom or bedroom floor. CALM - immediately putting dirty clothes in the hamper and wet towels on a hook or separate hamper. 5. CHAOS - scrounging around the pantry at 5:00 p.m. wondering what to make for dinner. CALM - planning your means a week at a time so you know what you are making and be confident you have everything that you need. There are many other ways to turn your chaos into calm. What suggestions do you have? I would love to hear from you. There seems to be a phenomenon that is growing by the day. It's common for our socks to have lost their mates after we have done the laundry. They have been known to hide inside a fitted sheet, stuck inside a shirt sleeve or attached to the inside of a pants leg. The common solution for this phenomenon is to have a laundry basket filled with odd socks. I have worked with so many people who have this laundry basket in their laundry room, bedroom or elsewhere in the house where the odd socks live. Sometimes we never find that odd sock. I have a theory that there is a large hole in the earth somewhere where all of the odd socks get sucked out of our washing machine in the spin cycle and end up. This leaves the other sock without its mate forever more. How sad. However, don't be distraught. I have begun a support group for all of the odd socks that get left behind to survive on their own. I have called it "Socks Without Partners". The support group is not intended for long term, however. It's is intended for a 30 day period of time. The group meets after every laundry day in a laundry basket and they remain there for only 30 days. After that, they move on to become dust rags. The by-laws of this support group state that after 30 days, the chances of finding their mates has become so minimal, it is not worth staying on. They have already hung out with other single socks and are now ready to take on the world of dust. I am thinking that a Veteran's hospital might be a choice as well since they care for some amputees who need socks. Whatever you choose, do not get caught up in the "What If" syndrome that plagues so many of us. "What if I find that other sock 3 months from now?" It's not a great loss; it's okay. Move on. Bottom line, you can create your own support group in your laundry basket called "Socks Without Partners" but remember, after 30 days, they are to move on. There will be more single socks in your future, I promise. I would love to hear if you have started your own support group for your single socks and how many members you have! I have no idea where the Summer has gone. As it seems to do every year, it flew by and we are now looking at getting the kids back to school, resume our normal routine and put the lazy days of Summer behind us. The change of seasons is a great time to evaluate and perhaps re-evaluate what we need to do in order to get organized. Sometimes things tend to fall by the wayside (especially during the Summer months). Perhaps you had a project that you meant to get to this Summer but you never got around to it. It could have been something such as decluttering and organizing the storage room, trimming the hedges, painting a bedroom, evaluating your wardrobe and eliminating items that no longer fit or that you don't like, getting rid of toys your child no longer plays with, organizing the pantry or organizing your desk area where you pay bills. Before you get too inundated with the responsibilities that the new season will bring, I suggest that you take some time to walk around your home and make a list of things you want to declutter and organize and then get started on that list. If you are feeling overwhelmed with the prospect of getting organized, let me know and I will be glad to help. In the meantime, enjoy the rest of your Summer! If you have been following my blogs for the past several years when I began posting in January 2008, you will know that I don't tend to "vent"; I simply provide information that I feel will be useful to you. However, lately I have been noticiing how several advertisements for organizational products have been "selling their wares" so to speak in print and on television. One company in particular has a great line of products, but let's get real here. Have you seen the ads for Real Simple? Their products are available at Bed, Bath & Beyond. They sell over the door shoe organizers, storage bins, purse organizers, sweater organizers and slim line hangers, to name a few. The products are great - I use them quite often for my clients - but their ads, that's another story. There is one ad in particular that was in the Real Simple magazine not that long ago. It shows a picture of a closet. I don't know about you, but in all my years, I have never seen such a minimalistic closet as this one. Granted, their products help categorize items together and that's a great thing. However, do you know any woman whose entire wardrobe consists of 6 pair of shoes, 8 handbags, 18 tops and two pair of pants? And to top it off, the floor is completely clear! Who lives like this? Not anyone I know. Most people I work with have closets so full of clothing, they don't even know what they have until we go through it. There is stuff on the shelf above the rod, the rod is jammed with all types of clothing on all types of hangers and the floor is filled with shoes, boxes of miscellaneous items and some things that are not even identifiable. That's to be expected when you are dealing with clutter, but trust me, when I get done doing what I do best, it will never end up looking like the closet in the picture above. If you are feeling overwhelmed with the clutter in your closet and need some help, don't hesitate to contact me. I will be glad to help - but please, don't expect me to get rid of so much of your stuff that it looks like the ad above. That will not be happening! We all have "stuff", but there comes a time when you need to make decisions about your stuff. The options are keep, donate, sell, recycle or trash. The jeans I was using for work, even though they still fit me, were getting worn out. I could have easily justified keeping them "because they still fit", but decided that was not good enough. I emptied all of them from my closet and took some of my older "nice" jeans and will now use them for work instead. I got rid of 8 pair of jeans! I feel so much better now because I don't feel so sloppy when wearing my worn out jeans. This did wonders for my closet and for my self image. I don't want those old, beat up jeans any more. They are damaged goods. I have other pairs of jeans that I can use instead. The life of these old jeans has expired. I want to make room in my closet for nicer jeans and they no longer fit into my lifestyle. You don’t use it, love it, need it, or want it. It’s broken, busted, damaged, or destroyed and you haven’t fixed it in six months or more. You have multiples of the same object, and the other one is vastly superior in quality. You don’t have anywhere to store it. It doesn’t fit in the life you desire. When you ask yourself these questions, your answer will come to you and it will make it a lot easier to decide what to do with that "stuff". Be honest with yourself and remember the end result. You are creating less clutter and more room for the things you do want. So, now you can "let it go". Hope this helps you. Let me know what you have decided to "let go" and why by posting a comment below. If you are feeling overwhelmed with the prospect of eliminating your clutter and finding that balance in your life by doing so, contact me. I am more than happy to help. I found two great "Take Back Initiatives" that can help you in the process of decluttering your home. One can be used when decluttering your medicine cabinet and the other when decluttering your clothes closet. The US Drug Enforcement Administration is sponsoring a national take-back initiative to accept unused or expired prescription drugs for safe disposal on Saturday, September 25, 2010. “Collection activities will take place from 10:00 a.m. through 2:00 p.m. at sites established throughout the country.” Check the DEA site for locations in your community. Along similar lines, but with clothing instead of medications, the Men’s Wearhouse is accepting lightly used men’s suits, sports coats, slacks, dress shirts and shoes, business casual clothing, coats, ties, cuff links, and other accessories during the month of September. The Men’s Wearhouse National Suit Drive gives the suits to local non-profit organizations. Donations can be made at any Men’s Wearhouse. I would love to hear from you about how you made use of these initiatives and how they encouraged you to eliminate your clutter. OFF SITE STORAGE - OUT OF SIGHT, OUT OF MIND? As a professional organizer, I occasionally have clients who not only have clutter in their home, but also have additional clutter issues off-site - in their storage unit. There are many reasons that someone might decide to rent additional storage space to store their items - but is it a good idea? Some of the reasons I hear are that they ran out of room in their house (a sure sign that they have too much!) or that they inherited items from family members and have no place to put them or they intend the use the items "some day". If you need to rent additional space in order to store your items, this is a red flag that you just have too much stuff. Downsize all those Christmas decorations, reduce the amount of furniture you have, eliminate the excess clothing to avoid seasonal trips to your storage unit. As a rule, you should be able to fit your possessions in the space in which you live. If not, it needs to go. Some of you might have inherited furniture, antiques, etc. from a family member that recently passed away. You need to evaluate what you have inherited and make a decision as to whether you can make use of the item in your home or whether it can be either given to someone else or sold. If you have no use for the item and are only keeping it because you think you "have to", that is not a good enough reason. Don't keep items in storage out of guilt. When the item is passed onto you, it becomes your decision as to what you do with it. If using it in your home is not an option, pass it on to someone else who can use it. If you are storing items at an off-site storage facility because you "might use them some day", that is not a good enough reason to keep them. Chances are, that "some day" will never come. You need to live in the moment and use what you have in the present, not plan for that "some day". If these reasons have not convinced you, take a moment and consider how much money you are spending each year to store your items off-site at a storage facility. Couldn't that money be put to better use? Storing items off-site does not eliminate the clutter issues you have. You are just relocating them elsewhere and not dealing with them. If you end up storing them long enough, they will become someone else's burden to bear and that's not fair to them, is it? I would suggest taking a trip to your storage facility and bring your critical eye with you. Look at the contents in the space and determine whether the items in the space can be used in your home now. If not, sell them, donate them, give them to another family member or a friend and get rid of that storage unit once and for all. Then, take the money you will be saving and go do something nice for yourself - TODAY! Remember, "out of sight, out of mind" is very common when it comes to off-site storage. Don't let that happen to you! If you have any questions about how to get organized or are just too overwhelmed and don't know where to begin, don't hesitate to contact A Better Space. I am more than happy to help! In the meantime, enjoy your week! I watched "The Oprah Show" today after a friend of mine called me to let me know she was talking about eliminating the clutter in her own clothes closet. If any of you follow Oprah (I occasionally get a chance to watch her show and I do get her monthly magazine), you know that she recently decluttered her clothes closet and eliminated 150 items that she intends to put up for auction on E-bay this coming Monday to raise funds for her school is South Africa. What fascinated me the most, besides the beautiful clothing she is letting go of, including shoes, purses and blouses, (unfortunately I would never be able to wear a size 10 shoe! ), was the fact that she openly admitted that she felt a lot of anxiety when she was getting rid of the items in her closet. Oprah talked about the fact that she does not like to waste things and, therefore, tends to hold onto things longer than she probably should. However, like most people, she was able to reduce the amount of items in her wardrobe once she got help to figure out what to keep and what to get rid of and knew that the items she was eliminating would be used to raise money for a good cause. They were not just getting thrown away; someone who wanted them would be getting them. Bottom line, if someone else is getting them, it feels so much better. I mention this because this is very common issue that I come across when working with my clients. I am very sensitive to the fact that they don't just want to throw everything away. (A good professional organizer would never do that.) I make sure that we determine what charity or person they would like to donate the items to (assuming they are still in good condition). I want you to know that if you feel anxiety when getting rid of things, it's a normal response and it's okay. With the gentle guidance of someone you trust, you too will be able to eliminate that clutter in that closet much easier. Remember, in the end, the clothes in your closet should bring you joy, make you feel beautiful and be usefulness. If you need assistance in purging items from your closet - not sure what to keep and what to toss or donate - contact me at A BETTER SPACE. I will be more than happy to help. If you are not sure whether you are disorganized or not, see how many of the following statements apply to you - and then give me a call! So, do any of these sound familiar? If so, let's talk - I can help. I have found that people tend to make their schedules and tasks much more difficult than they have to be. While there are hundreds of things you can do to organize your life, I believe these seven tips alone can help. 1. Simplify your morning routine. Take a shower and select what you are going to wear the night before. Go for a more natural look and use less cosmetics to save time. Get an simple hairstyle that requires very little work and is easy to maintain. Set the breakfast table the night before. Wake up a little bit earlier so you can feed the kids, walk the dog and/or have a cup of coffee without the need to race to work. 2. Simplify your schedule. Stop doing the activities that you are no longer interested in doing. Delegate. Consolidate your errands to save time. Pad each errand, appointment or task by about 15 minutes and you will stop rushing from one thing to the next. Don't fill your calendar to the max. Leave some time open for fun and relaxation in between your work-related or chore-related tasks. Stop saying "yes" to everyone and everything. Learn to say "no" sometimes! 3. Simplify your processes. Is it taking too long to accomplish certain things? If so, take a look at those tasks. For example, if it's taking you an hour to balance your checkbook, you might want to consider using a computer software program to manage your money instead. Are you tired of waiting in line at the post office for postage? Consider ordering it online. If it's taking you forever to file your paperwork, perhaps it's time to revamp your filing system. It just might not be the best system for you. 4. Simplify your possessions. Remember, when it comes to possessions, quality is more important that quantity. It's better to have a few very nice things than tons of not-so-nice things. Do you have more shirts than will fit in your drawer or closet? Do you really need that many? Donate clothes you never wear and you'll be helping someone less fortunate while simplifying your wardrobe. Weed out your kitchen cupboards. Reduce the amount of plastic containers. Get rid of the small appliances or cooking utensils you no longer use. Have a yard sale. Before you go shopping, get rid of something you no longer need. Use the "one in, one out" rule. If your kids are off on their own, you may even want to simplify and downsize to a smaller house. Remember, less is more! 5. Simplify your finances. Consolidate your credit cards. Most people can get by just fine with just one or two major ones. And, don't spend beyond your means! In fact, if your credit card bills run very high each month, consider paying for purchases in cash instead. Pay your bills online whenever you can. Balance your checkbook each month, so you don't fall way behind. Set up a monthly spending budget and stick to it so you don't go overboard with purchases each month. Do you want an EASY way to budget your money? Are you tired of those complex systems that you can't maintain from month to month? If so, the U Can Do It Budgeting System is for you. You will be able to download this e-book onto your computer within minutes and be ready to create your own personal budget in less than one hour! Simply go to the Budgeting System tab right on this website and download it today! 6. Simplify your cleaning. Clean as you go, and you'll never have to deep clean. Rinse dirty dishes and put them in the dishwasher immediately after each meal so you don't have big pile-ups in the sink. (Remind your family of this rule, as well.) Use only one or two cleaning products to clean your entire house--you don't need ten! Create a cleaning schedule. You may choose to do a chore each day, such as vacuuming on Mondays, dusting on Tuesdays, etc. Or, you may prefer choosing a room a day, such as kitchen on Mondays, bathrooms on Tuesdays, etc. Divide up the cleaning duties among each member of your household. If your budget will allow, get a cleaning person to come in and clean once a week, or once every few weeks. 7. Simplify your meal planning. Choose one day each week (include your family, if you'd like)to decide what you will have for dinner the next seven nights. Write those meals down and make a grocery list of the items you need to purchase to make match those meals. STAY TUNED - THE U CAN DO IT GROCERY SHOPPING LIST is being launched in September 2009! This is much easier than worrying about what you're going to make for dinner each day. Choose meals that take less than 30 minutes to prepare and cook. Make double, so you only have to cook every other night! Learn how to use a slow cooker so dinner is ready to eat when you get home from work. Please keep in mind that with any plan, maintenance is the key. By utilizing these tips regularly, I guarantee you will have A BETTER SPACE. If you need further assistance with this or any other organizational issue, please contact me at A BETTER SPACE. I will be more than happy to help. Enjoy the last days of August! This week I saw some tips from Real Simple Magazine that I would like to pass onto you and add a few of my suggestions as well. You can extend the life of your favorite clothing with some easy strategies guaranteed to keep your wardrobe in its best shape. Real Simple Magazine recommends hand-washing your cashmere sweaters. Repeated dry cleaning can hurt the fibers overtime. Therefore, instead, use a mild soap. I recommend using cold water. Then lay the sweater out flat to dry. Another alternative that I like to use is Dryel which is a home cleaning system you use right in your dryer. It's quick and easy and keeps your sweaters in good shape because they are cleaned in their own garment bag. In order to protect your clothes from fading, iron them inside out or place a cloth between your iron and the fabric. Put your iron on the lowest setting possible for the particular fabric you are ironing to avoid fading as well. In order to banish hanger dimples, especially from wire hangers (I really don't like wire hangers - don't get me started! ), Real Simple Magazine recommends using a steamer to get rid of them. Another alternative that I recommend is replacing your wire or plastic hangers with flocked hangers. They are thin velvet hangers that will better protect your clothing from "dimpling" at the shoulders. The flocked hangers also take up a lot less space in your closet. In order to keep your socks together when they go into the washer and dryer (because we all know that all those odd socks just disappear into some deep dark hole somewhere in the earth), use a mesh laundry bag. This is one of my favorite tips and I recommend it to my clients all the time. I promise you will never end up with mismatched socks again! These quick and simple tips will help you have A Better Space. Wishing you an organized week! Well, since Spring officially begins next week, I thought it would be a good time to provide some Quick Tips for A Better Space when it comes to how to store out of season clothing. With a large closet, people are often tempted to keep all their clothes in the one spot and not rotate clothing seasonally. Unfortunately, this sometimes creates cramped closets and makes it hard to see what you really have in your current wardrobe. If you have a smaller closet, this is even more of an issue. Store out-of-season clothing in plastic under-the bed containers or pretty cardboard boxes that can fit on top of your closet shelf. Folded clothes should be stored with acid and dye-free tissue paper so they won’t be as wrinkled when pulled out for next season. Fragrant, insect-repelling herb sachets are a good alternative to mothballs. They will keep your clothing smelling fresh and well protected without being potentially harmful to your family and the environment. Any out of season clothes that need to be hung should be stored at the very back of the closet since they do not need to be readily accessible. They should be stored in a garment bag to keep them clean and dust free in the off-season. Avoid using dry cleaner bags for this purpose. They should not be used at all, in fact, for any type of clothing protection and storage. They trap the dry cleaning chemicals which stay on your clothes and can be harmful to your health and the environment. Your clothes need to breathe so cloth garment bags are suggested. This is also a great time to look at what you have not worn the past season and get rid of it. Chances are you won't wear it next year either. Why pack away something you will not be wearing. Make room for new purchases next Fall instead! You will need to start planning a time to set aside to convert your wardrobe from Winter to Spring and Summer so be prepared with the proper tools to do so. Soon you might be taking those bulky winter coats or winter comforter sets and storing them away until next Fall. In order to save lot's of space, I recommend purchasing vacuum storage bags, more commonly known as "Space Bags". Vacuum storage bags are a simple way to make space for what matters most...other stuff! Use them for out-of-season clothing, especially those bulky winter coats, extra or out-of-season bed linens and guest-bedding. Don't forget to include the pillows! Vacuum storage bags are an ideal storage solution when space is at a premium. These bags reduce bulk by 75% and are inexpensive and relatively easy to use. All you need is a household vacuum cleaner with a hose. When purchasing the bags, I suggest purchasing various sizes and using a bag that is a bit larger than the items you want to store in them. There is a line on the bag and the items should not extend above that line. Otherwise, it won't work right. Just lay the items flat in a jumbo or large storage bag and use your vacuum cleaner to evacuate the air. The trick is to make sure the air does not escape again from the hole you just sucked the air out of. A trick I use is putting a pencil in the cap that covers the hole and pushing the cover into the hole as soon as you remove the vacuum cleaner hose. This reduces the chance of air escaping too quickly. Then stack the bags as desired. The vacuum storage bags have an air and watertight seal that keeps out moths, dirt, moisture; mildew; musty odors; and discoloration. I would recommend not keeping them sealed for more than six (6) months at a time. Just let the air back in and put in fresh air again; then you're good for another six months! Another Tip: For added freshness, add a fabric softener sheet to the bag before shrinking. So, when that linen closet is stuffed and there is no more room, try this idea to create A Better Space in your closet!